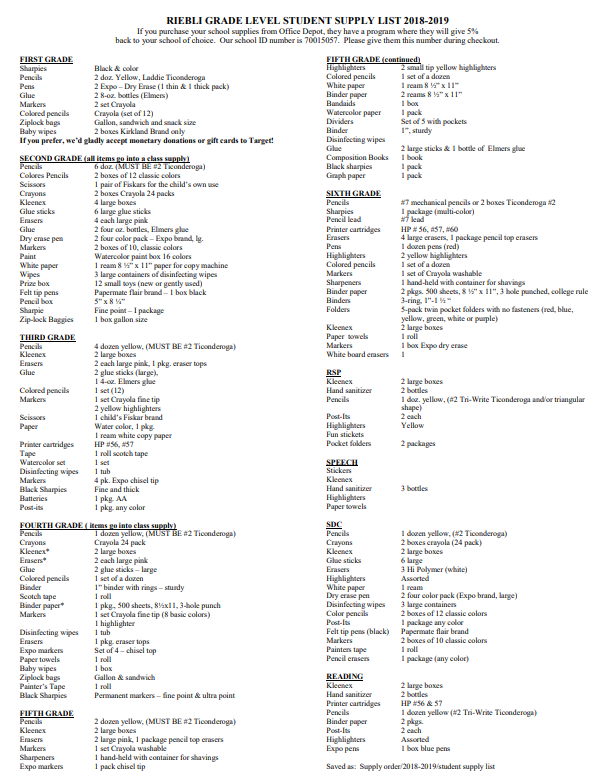 Programs & What We Fund | Riebli PTA… Making a Difference Together! 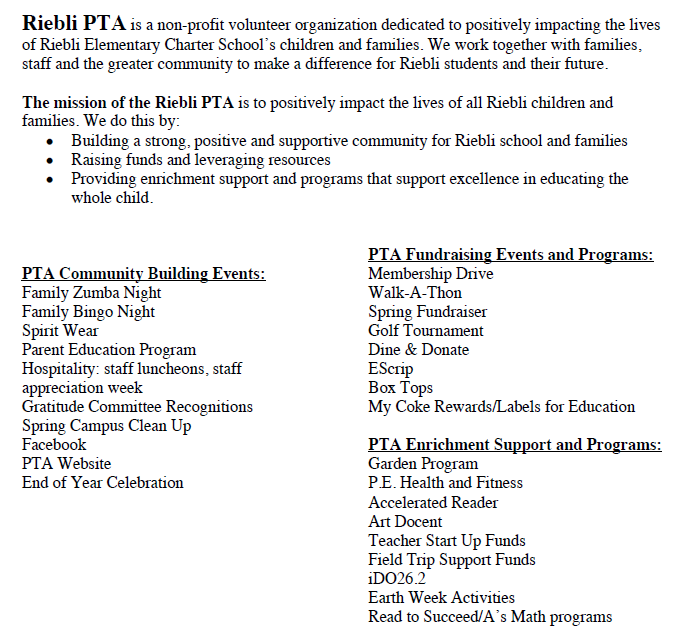 Riebli PTA… Making a Difference Together! 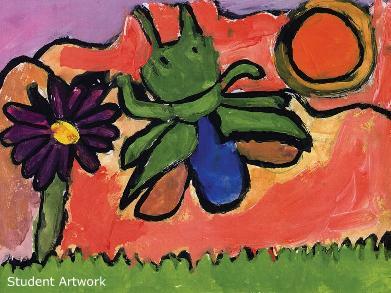 In the Art Docent Program, parents and teachers bring portfolios of works of art to the classroom to conduct discussions that open the students' eyes to the wonderful world of art. Weekly school-wide assemblies provide a time where students are recognized for their achievements, and we come together as a community for special events or performances.